Junior Julian Schmugge scored both Loyola goals in regulation, setting the stage for the Dons victory in double overtime. In an instant classic on the soccer pitch at Loyola Blakefield, Thursday afternoon, the top-ranked Dons battled No. 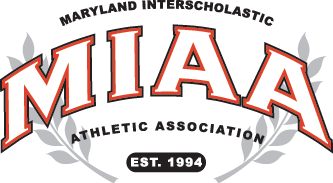 7 and fourth-seeded Archbishop Curley into the second overtime of their MIAA A Conference semifinal, before the Dons pulled out a 3-2 victory and advance to Sunday’s league title game against second seeded McDonogh. McDonogh reached the final with a 2-1 home win over third-seeded Gilman. Loyola got the Golden Goal from senior star John Peterson, two minites into the second overtime on a perfect feed from junior Chase Lllewellyn. Peterson also assisted on the first two Loyola goals, both of which came off the foot of junior Julian Schmugge, one in each half. Schmugge gave the Dons a 1-0 lead with 12 minutes to go in the first half, but Curley countered with a score by Dylan Sloan as he volleyed back the rebound from a Bryce Woodward shot, five minutes later. The teams went to intermission tied 1-1, but Schmuggee put the Dons back in front, seven minutes into the second half, when he and Peterson teamed up again. The Friars did not fold and continued to create great chances before finally answering with the equalizer and knotting the game, 2-2, with 12:04 to go in regulation. This time Woodward fired in the shot, converting a beautiful cross from Tyler Harry. The see-saw battle continued for 24 more minutes with both teams having lots of chances to score. Peterson, who had a hat trick and scored both the tying goal (with 36 seconds to go in regulation) and the winning goal (in overtime) against defending conference champion McDonogh, a few weeks ago, was the hero again. Schmugge gave credit to Peterson for his success. Curley’s Bryce Woodward, who scored a goal for the Friars, settles a bouncing ball during first half action. Loyola coach Lee Tschantret also lauded the play of Peterson. Tschantret also praised the Friars. “Curley played fantastic. It was a great game and it could have gone either way. This is what high school soccer is about. The intensity level, the tactical level, and the technical level that was on display is what the MIAA is about. Curley coach Barry Stitz was utterly professional and gracious after the game despite the heartbreaking loss. This was the second consecutive year Curley lost in the semifinals after back-to-back losses in the finals, but Stitz was nothing but proud of his squad which he said played its best soccer of the year in defeat. “I couldn’t be more proud of our guys,” said Stitz. “They played today at a different level than we played all year. With 20 minutes to go in the second half, we took it to another level and that is the most gratifying thing to a coach. Loyola and McDonogh will square off at 5:30 p.m. on Sunday as the Dons look to complete a perfect season. Ironically, the Dons last title was in 2014 when they defeat McDonogh which came in with a 19-0 record and the nation’s No. 1 ranking. Pictured above: Loyola’s Dominic Caltabiano looks for an opening near midfield, as Curley’s Anthony Dragisics (#3) and Bryce Woodward (#11) defend. GOALS: AC-Sloan, Woodward; LOY-Schmugee 2, Peterson. ASSISTS: AC-Woodward, Harry; LOY-Peterson 2, Llewellyn. SAVES: AC-Caulkins 6; LOY-Milmoe 5. Andrew Privett (left) scored McDonogh’s first goal, assisted by Richie Nichols, who later scored the game winner unassisted. In Owings Mill, fourth-ranked and second-seeded McDonogh appears to have moved past its late season struggles, topping sixth-ranked and third-seeded Gilman, 2-1, in the other semifinal. McDonogh, which has now won four straight after a stretch of four losses in five games, built a 2-0 first half lead and held off the Greyhounds. Both McDonogh goals came in the first half and Richie Nichols figured in both. On the first, Nichols triggered a free kick, that found the foot of Andrew Privett who drilled it into the net. With a little more than three minutes to play in the half, Nichols scored an unassisted tally to give the Eagles the advantage they needed. As is its custom, Gilman grew stronger as the game progressed and got within one when Ryan Martinez fed Logan Paff for a Greyhound goal. The Hounds continued to press and had several quality chances in the waining seconds, but McDonogh keeper Kieran Basket, who finished with five saves held them at bay. McDonogh, which is the defending champion in the A Conference, returns to the title game for the fifth time in the last six years and the Eagles have nine championships, the most of any school. Loyola will be seeking its fourth league crown and its first since 2014. SAVES: GIL-Farley 3; MCD-Baskett 5.